Teaching with TLC: Canvas Print Giveaway- hurry, hurry! Canvas Print Giveaway- hurry, hurry! I LOVE photos! I have approximately 50 photo albums- all scrapbooked. I enjoy preserving every bit of time I can with my kids. Rarely a day goes by that I don't take a few photos. So when Easy Canvas Prints contacted me to do a review for them, I jumped at the opportunity! Easy Canvas Prints is the perfect name for this company. It really is "easy" for the customer to order from their website. It literally took me five minutes with their simple instructions. The hardest part was selecting a photo to use prior to ordering. This is the image that I chose. Doesn't it look great on the canvas? What a treasured piece of art that I will enjoy forever! Can I tell you my favorite part about this canvas print? Being the frugal stay-at-home mom that I am, it was only natural for me to do some comparison shopping. I was quite surprised that I could not find a better price for canvas prints anywhere on the web- I am being completely honest. I even thought I could get a better deal on-line at Costco but the canvases from Easy Canvas Prints still cost less. The quality is terrific for that low price. There is some color variation from the original photo I submitted but I've been told by a photographer that differences in color is typical when printing on canvas. I definitely would recommend this product as a special keepsake or even to give as a wonderful, unique gift. If you would like to win a canvas print of your very own, follow these very simple rules. 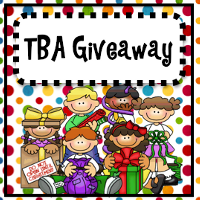 Then hop on over to TBA by clicking the giveaway button above and become a member/blogstalker and leave a high five there on the giveaway post with your email address (if it is not listed in your profile information) so I can contact the winner via email. That's it! It is so easy to enter! Hurry, this giveaway is for a limited time! Winners will be announced on Friday 29, 2011. Good luck!